Do you have kids that ask a million questions? Are they fascinated by the world around us? Do your young scientists constantly look for fun ways to learn and grow their minds? 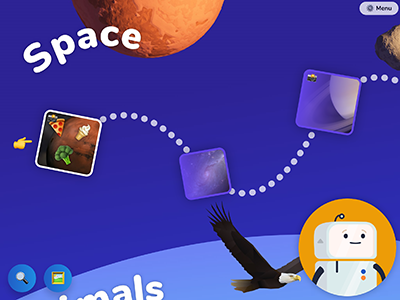 I found the most amazing app for your scientists that are in kindergarten to grade 5! 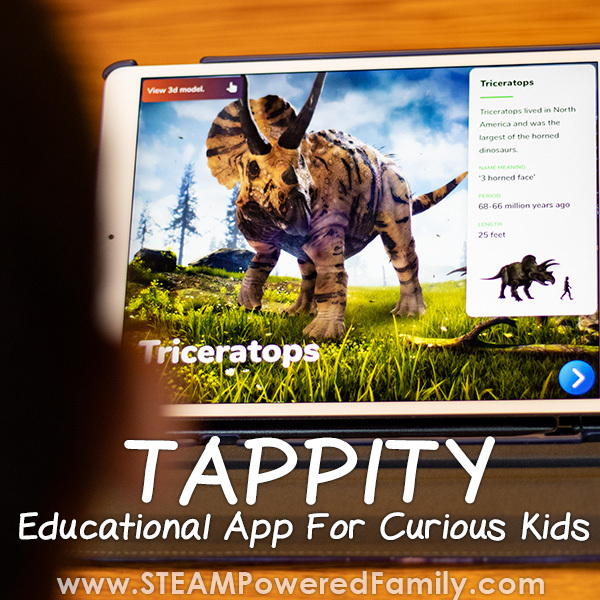 It is an educational app unlike anything I have ever seen before. 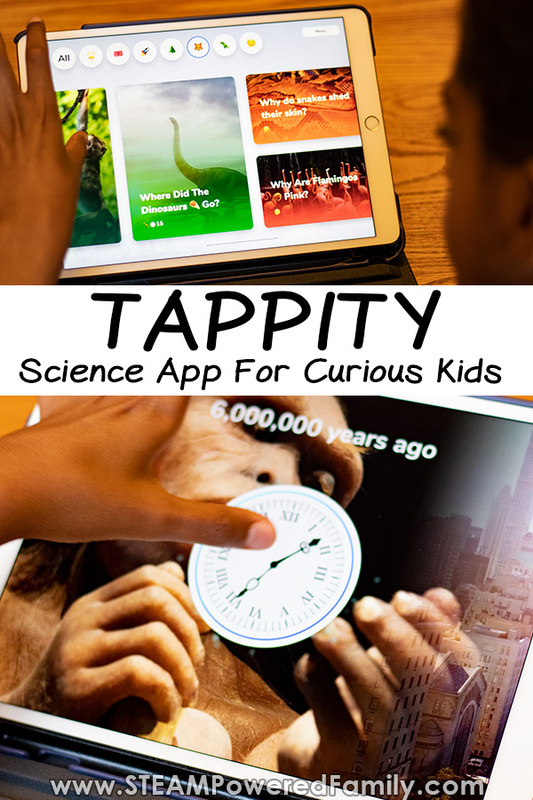 It’s called Tappity App and it has been a great addition to our lessons. NOTE: Tappity has done some amazing interface and functionality updates! The program is even better than when I originally reviewed it. As time permits I will grab some new images and video. Disclaimer: This article is sponsored by Tappity App. I was given a free membership for the purposes of reviewing and writing this article. All thoughts and opinions are 100% my own. My kids are always asking so many questions. In particular they get obsessed about science. They want to know how the world works and I love that! But let me tell you, it can get exhausting having kids that are passionate about learning and have a strong sense of curiosity. Sometimes embracing STEM education has it’s downsides… like kids that love to learn and never want to stop! There have been many days where I have looked in vain for something to educate them and entertain them. I’ve tried lots of apps but all of them were so boring. A few YouTube channels showed promise, but my kids would get bored just watching videos. They need something more engaging and interactive. That’s why we were all so excited to discover the Tappity App! It is exactly what we have been looking for to add to our classroom. I was actually hesitant to give the app to my 12 year old. This is a child who has already taken high school level genetics classes. He has been completely obsessed with science his entire life and even taught himself to read on science books. Many of our projects are inspired by his curiosity and questions. I thought an app for kindergarten to grade 5 would be way too young for him. He really enjoyed it and spent a lot of time checking out all the episodes. When I talked to him after, he said the topics were definitely elementary age, but that the app was really fun and interesting. He found it fascinating to explore and see concepts presented in such a new and interesting way. So not only did the app get a big thumbs up from my oldest, which was a big surprise, my youngest is obsessed with it. If you are not aware, my youngest has a number of learning disabilities plus cognitive and language delays. We are constantly challenged to think outside of the box when teaching him. It is our job to discover ways to present the information in a way that works for his brain. Tappity makes sense to him. The controls are very intuitive and he loves the multi-sensory approach. Using this app he can control the weather on Venus, travel the universe or go back in time to learn about the dinosaurs. For a kid that struggles to sit still and focus, this app keeps him so busy controlling and being part of the action, he doesn’t feel the need to wriggle! Even though he struggles with reading, this app reads the words to him and with a touch of a button the text appears on the screen so he can follow along. Instead of me writing about it, why don’t we show you! Take a look inside the Tappity app. 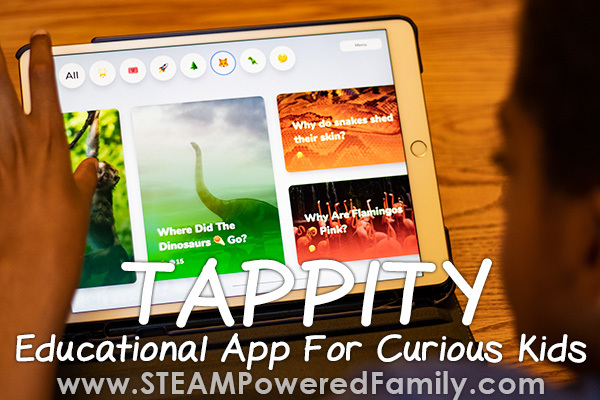 One of the things my kids really enjoyed about the Tappity app was how each lesson is an adventure. They feel like they are part of a story and at times even controlling the story. It makes for fascinating lessons that that keep my kids entertained while teaching them. 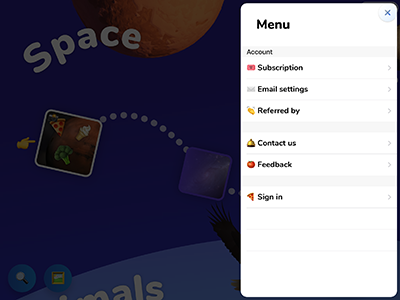 We love using interactive storytelling as a method of learning and Tappity has done a fantastic job embracing this teaching method. 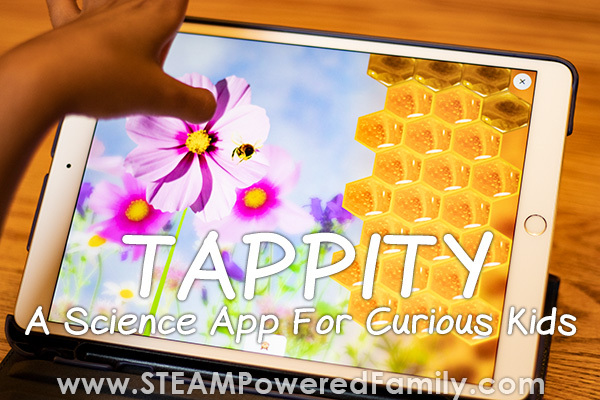 Learning science with Tappity app has been just plain fun. It presents the concepts in a really interesting way that captures the curiosity of my kids and fosters their natural passion for discovery and learning. I am so excited to see what new topics are coming. They are always updating and adding new lessons. Just this weekend they added new features that has my son so excited to go back and do all the stories again. The app can also be used offline which is amazing. There is nothing more frustrating than an app that gets stuck buffering and my kids loses his focus before even getting started. Oh and did I mention no ads? 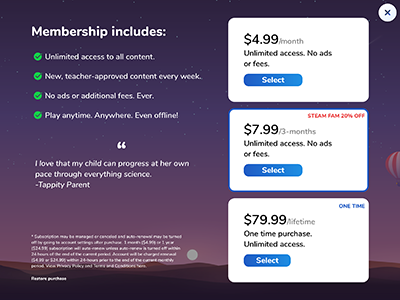 Yup, totally ad free so your kid won’t be clicking on any crazy links or viewing any marketing content trying to sell them stuff. The best part though? When we can combine their lessons with one of our activities. It makes the concepts so much more memorable. Like using their Layers of the Earth lesson with our Layers of the Earth Soap. Or combining Hatching Dino Eggs with one of the many lessons on Dinosaurs. 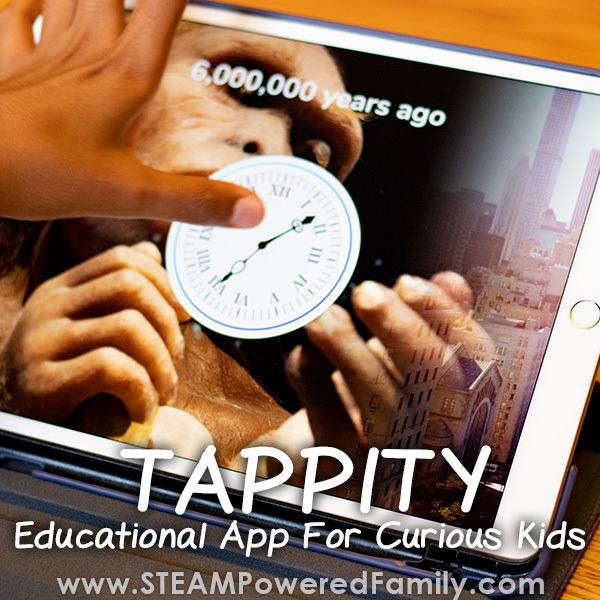 These Tappity lessons make an excellent addition to our classroom and offer amazing value. 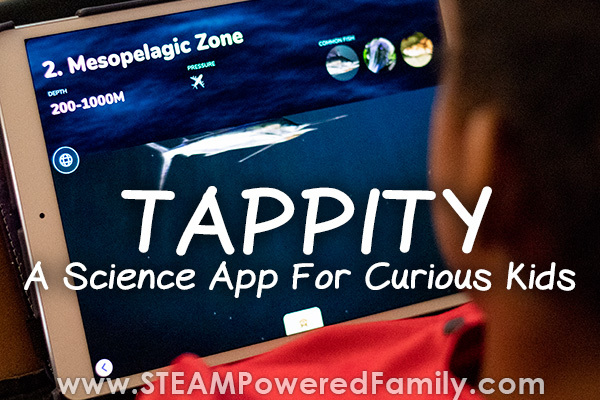 If you are looking for a science app to compliment your child’s education and help foster their curiosity and passion for science, I highly recommend you check it out. Want a FREE Month of Tappity App to check it out? to unlock your special discount on amazing science learning! Start by downloading the app, then click on “menu” in the top right corner. Click the thumbs up. 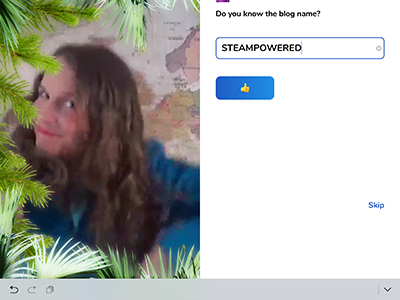 On the next screen you will see our special STEAM Powered Family discount! A 20% savings on a 3 month subscription. Enjoy! NOTE: Tappity App is available for Apple iOS devices only. Previous Post: « Harry Potter Wands STEM Project – Use circuits to cast Lumos and Nox!